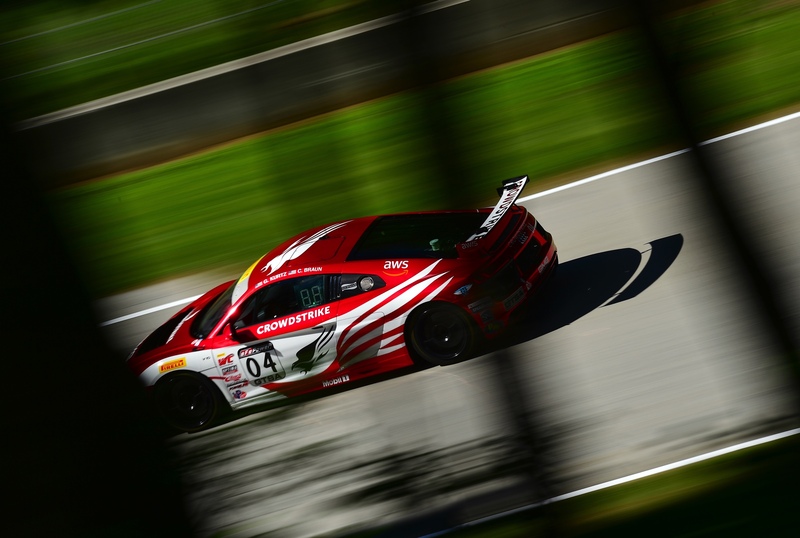 Following successive podium finishes during this weekend’s Pirelli World Challenge double-header at the famed Road America in Elkhart Lake, Wisconsin, Global Motorsports Goup (GMG) and team owner James Sofronas would extend his overall GTS-category championship lead with dual second-place finishes. With three cars entered in this weekend’s traditional sprint racing format, drivers George Kurtz and Jason Bell would also have strong moments, with each driver managing a top-five finish on the weekend, including a herculean effort by the GMG crew to ensure George made Race One following a qualifying incident. Driving the No. 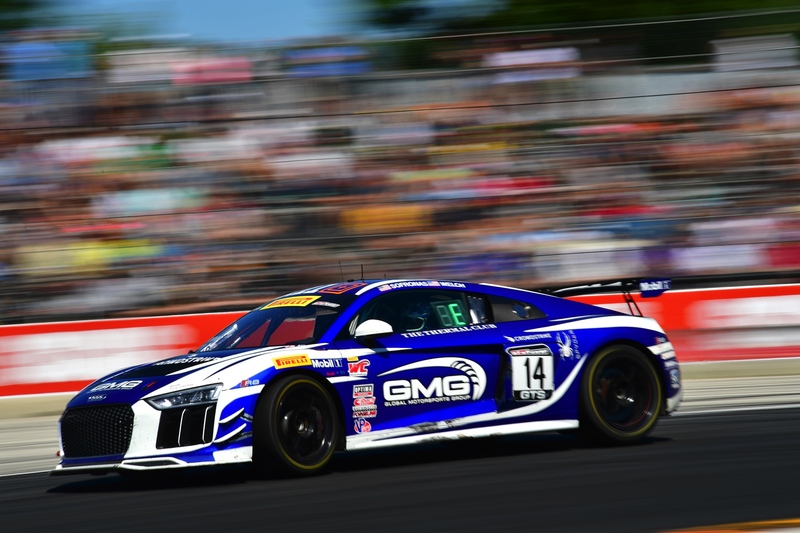 14 Mobil 1 / The Thermal Club / 5.11 Tactical Audi R8 LMS GT4, James Sofronas entered the weekend with significant concerns about recent changes to the series’ balance-of-performance (BoP). 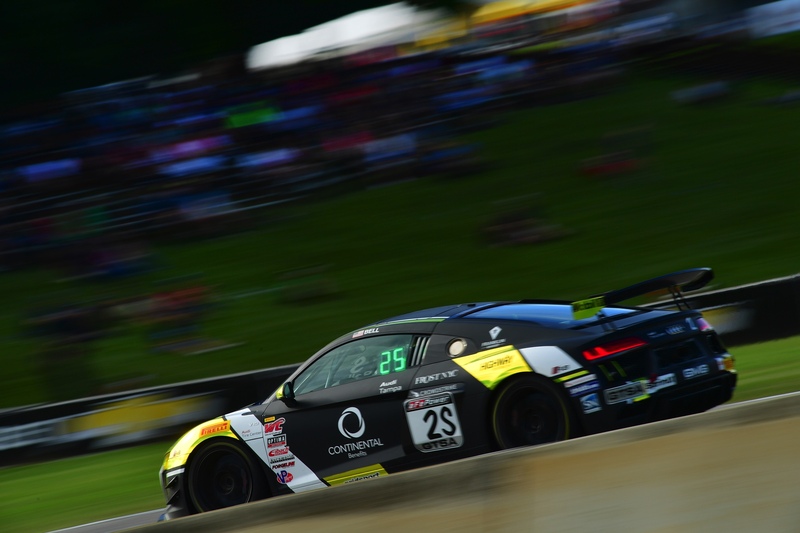 With required adjustments that would adversely affect the Audi’s competitiveness, a lot of concern was voiced headed in to the weekend’s opening practice sessions, as the Audi was down on acceleration and top speed. Adding to that, an alleged track-limits violation, something not commonly associated with Road America, would deny James a qualifying time on Saturday’s only qualifying session, forcing him to start from the back. 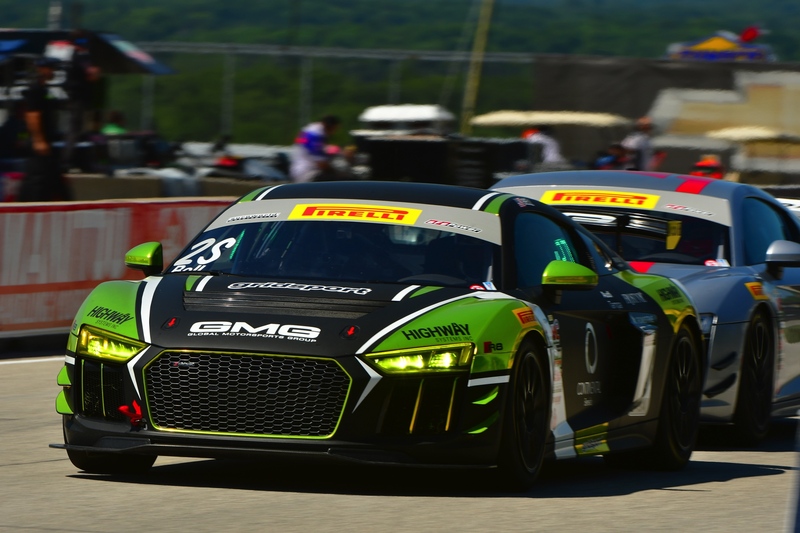 Starting from the rear of the field on Saturday’s Race One, Sofronas’ work was cut out for him, embarking on one of his most masterful drives to date. Gaining several positions by the end of the first lap, the Villa Park, California native would waste no time making his way through the field. Making a series of bold and aggressive moves, in spite of an unfavorable BoP, by time the race hit its final laps, James was already within the top-five, closing his race with an incredible series of passes to the end, advancing to second and simply running out of time to take a win. For Sunday’s Race Two, James would start from the pole position by virtue of setting quick time on Saturday, however the BoP challenges of his machine would mean he would fall back at the race start. Knowing tire management would be key, James would fall back to as low as fifth in the early stages, but as tire wear would begin to play a role, the No. 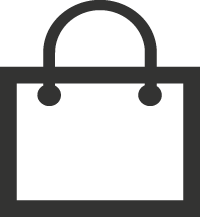 14 would begin to advance. 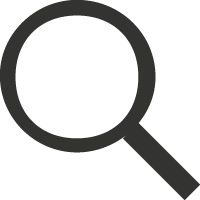 By time the race hit its final laps, he would once again find himself in second, pushing hard to gain ground on the race leader, and simply running out of time. With dual second place finishes, James would further his series’ championship lead, with only three weekends remaining. In the No. 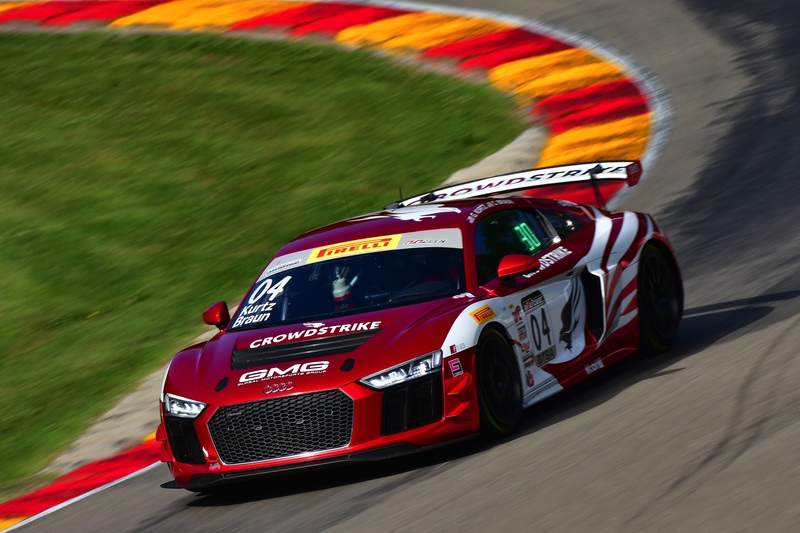 04 CrowdStrike Audi R8 LMS GT4, George Kurtz would do an incredible job on his weekend, maximizing both races after a difficult qualifying. 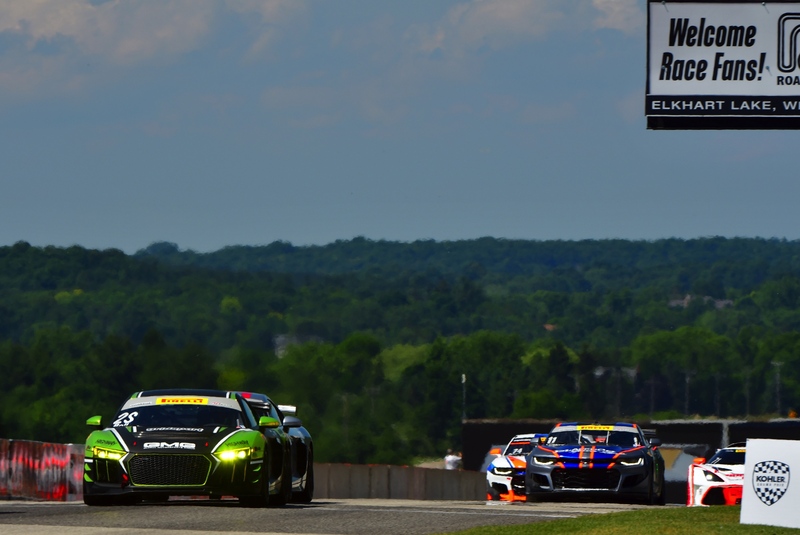 On Saturday morning, a qualifying incident would force the team to a backup car, with all of the GMG crew jumping in during the six hours between qualifying and race start to ensure that Kurtz had a race-ready car. Following a heroic effort by the crew, George would make the race start with no issues, also starting from the back and making the most of the field in front of him. Avoiding major incident, Kurtz would advance to seventh by race end, setting a great series of lap times in the process. For Sunday’sRace Two, a much quieter race would unfold, with George avoiding incident to finish fifth. 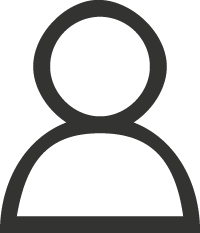 For Jason Bell and the No. 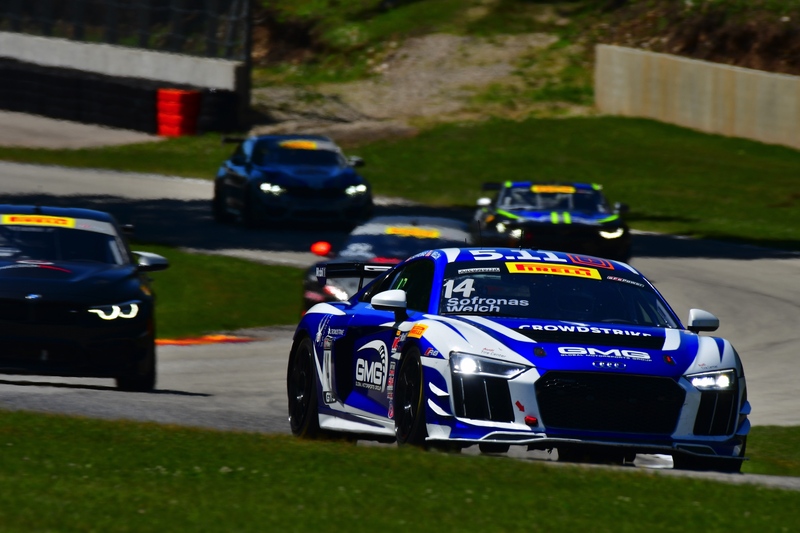 2 Audi R8 LMS, his second-race weekend with the team would begin to bare fruit, setting several quick times in practice and qualifying within the top-10. During Saturday’s Race One, Bell would prove competitive all race-long, setting a number of quick times and elevating himself to fifth, where he’d finish. Unfortunately on Sunday’s Race Two, a strong opening to Jason’s race would sour on lap six, when contact with a competitor between Turns Five and Six would result in heavy contact with the outside barrier, ending Bell’s race with heavy damage. 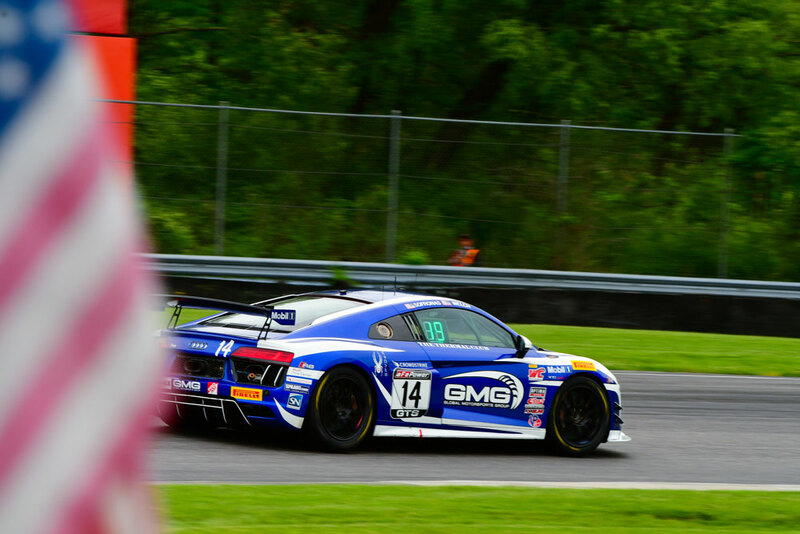 With two separate incidents over the weekend, the entire GMG team will be hard at work to get everyone prepared for the next race, occurring in just over three weeks as a part of a return to racing at the famed Portland International Raceway.